Home » Blog » DO YOU WANT TO SEE SLIPKNOT IN A CINEMA? DO YOU WANT TO SEE SLIPKNOT IN A CINEMA? Recently teasing something in the Slipknot camp, the the veil was revealed to have had something a little different from what I was thinking. A band as big as Slipknot have almost certainly conquered the world or so we thought. Having never been to Mexico City before, the band’s Clown or Shawn M. Crahan decided to document the entire event in a film. 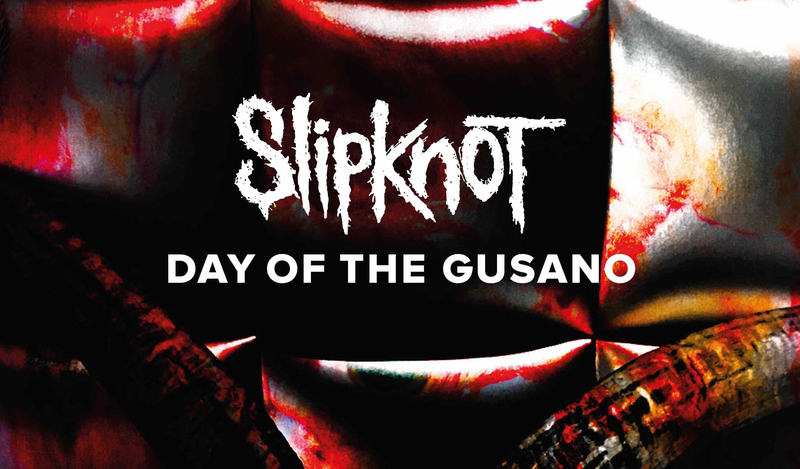 The title derives from Slipknot’s incredibly endearing term to their fans of “maggots” which in Mexican is “gusano”, pretty cool no? The film features all sorts of behind the scenes Slipknot goodness that you won’t be able to see anywhere else. However thats not the best bit, the band will also be broadcasting the film all over the world at 1,000 different locations in cinemas. This is going to be a one night only affair with 100 out of the total 1,000 locations being in the UK. Here is a small teaser of what you can come to expect from the showing. Airing on September 6th you will NOT want to miss this, I know I certainly won’t! I remember when The Big Four played Sofia, Bulgaria for the first time ever and it was broadcast in Leicester Square. Myself and a mate ended up, with half the rest of the cinema mashing on the stage screen to “Seek and Destroy” that was amazing. Tickets are available here and you can also see where the film will be playing. Don’t miss out.